“VINTEKSS” company designs, manufactures and installs the aluminium facades and winter gardens. In our production we use the materials of Schüco. Each project is created individually, taking into account all the requests of the customer. Aluminium facades have excellent performance characteristics and give the building a unique character. 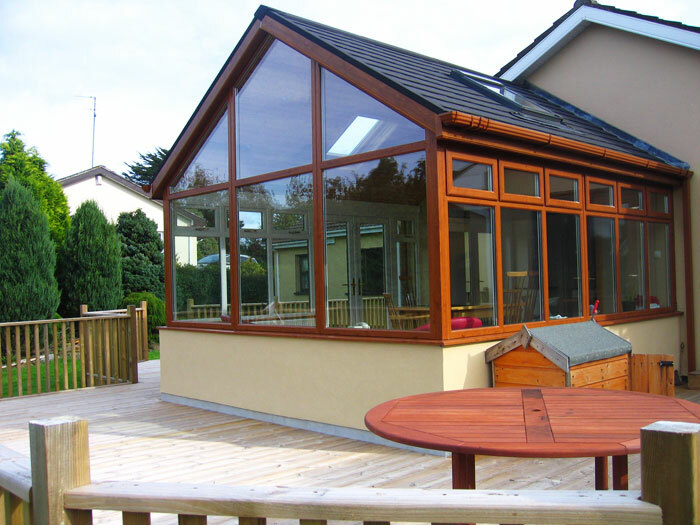 They have become one of the most popular types of the external finish of buildings. 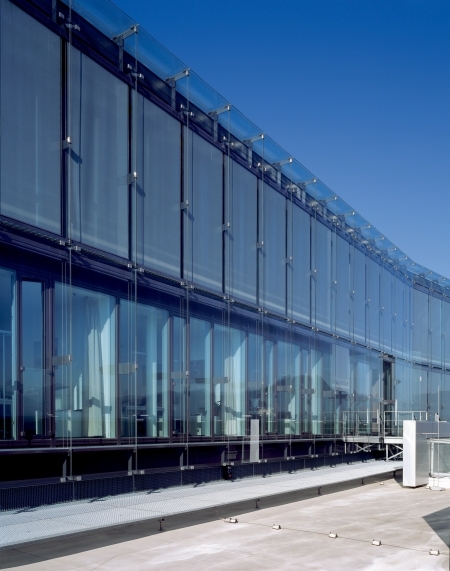 Due to such properties as light weight and fast installation the aluminium facades allow you to implement the most complex architectural projects with various types of glazing. Suspended aluminium facades and aluminium facades built into the opening are distinguished. Suspended facades are assembled from vertical members and crossbars. The surfaces of these facades can adjoin to each other practically at any angle, so the facade takes absolutely any form. Aluminium facades which are installed in the wall opening have simpler design so the built-in ones are cheaper. However, these facades are limited in forms what is their major disadvantage. Aluminium facades are made in different sizes and different colours, they are practical, reliably protect building walls against atmospheric effects – wind, rain, snow. These facades withstand any climatic conditions and ensure a long service life. Winter Garden is a convenient extension to a house or a separate building that can make an additional zest to any project. Modern glazed winter gardens are quite functional: a nice recreational space, guest room, dining room, office, or other space can be organized in them. Using aluminium structures one can create not just a beautiful winter garden, but a real masterpiece of the original design. Construction of winter garden includes two main stages: vertical glazing and the roofing. Vertical glazing is a process of winter garden walls constructing of the window constructions. Roofing requires special precision, as it must be of high strength and durability. Aluminium winter gardens are light and transparent, but at the same time, very strong and heat-keeping, capable to withstand any adverse atmospheric actions and are resistant to mechanical damages. Schüco aluminium shape is a great option for the construction of a winter garden of complex configuration. Complete fire resistance is the undeniable advantage of aluminium structures. Aluminium winter gardens are also attractive by the fact that they are long-lived and do not require special maintenance.